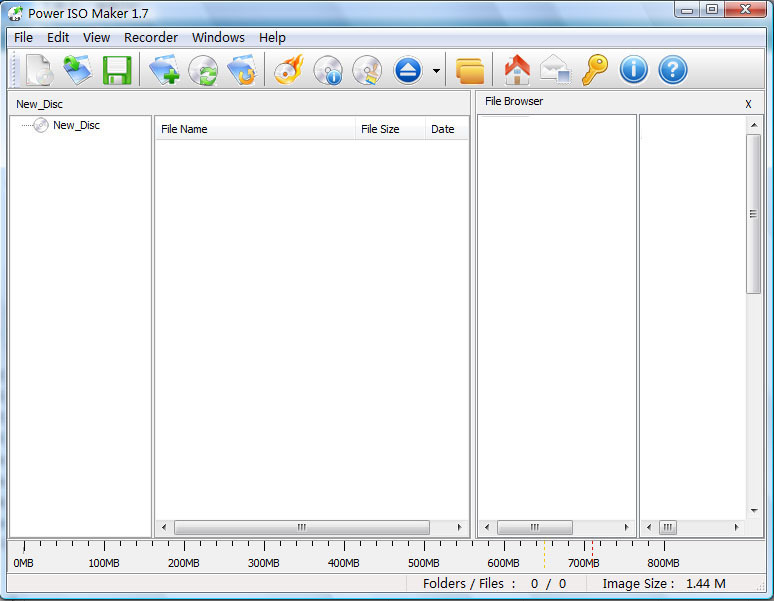 iWellsoft Power ISO Maker is CD/DVD image utility that can create and burn ISO files.It can quickly make ISO file from your hard disk.you can use it to backup DVD/CD-ROM to ISO file.It has a very beautiful interface, and is easy to use. It supports ISO DVD, DVD+RW, DVD+R, DVD-R, DVD-RW, DVD-RAM, CD-R, and CD-RW discs. Make ISO files from your computer. Rip your CD/DVD discs to an ISO file. Burn ISO files to your CD/DVD discs. Create and burn ISO files.It can quickly make ISO file from your hard disk. * Create a new compilation. * Drag and drop files you want to make to iso . * Click "Make" button to make your ISO image. Qweas is providing links to iWellsoft Power ISO Maker 1.9 as a courtesy, and makes no representations regarding iWellsoft Power ISO Maker or any other applications or any information related thereto. Any questions, complaints or claims regarding this application iWellsoft Power ISO Maker 1.9 must be directed to the appropriate software vendor. You may click the publisher link of iWellsoft Power ISO Maker on the top of this page to get more details about the vendor.